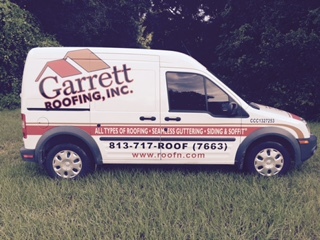 Garrett Roofing, Inc. is a family-owned business. Our business was born in early 2005 with focus on One-On-One Customer Service. The president, Rick Garrett, is involved in every aspect of the business. He oversees all jobs from beginning to end. He ensures quality and customer satisfaction. He worked as a laborer in the late 1980s in all aspects of roofing. “Team GR” continually strives to grow into a leading re-roofing company in the Tampa Bay area. Garrett Roofing, Inc. maintains its focuses on one-on-one customer service and satisfaction. Our friendly and experienced staff will gladly help you throughout the project. We will ensure you have a complete understanding of the products available, process of installation and warranties. Any homeowner planning to remodel wants nothing less than a professional job. Who wouldn’t want the best quality in terms of workmanship and materials when it comes to improving their most valuable asset? Working with an experienced remodeler, you can evaluate and prioritize the things most important in your renovation and that fit within your budget. As we stated on our Home Page, We are not the cheapest. We are the Best! That’s because we take the time to get to know you by providing one-on-one customer service. We carefully listen to your ideas and map out a plan that fits into your budget and your time frame.